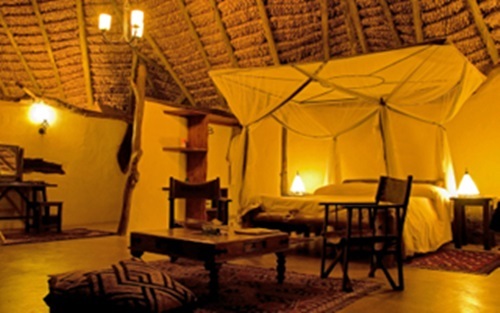 Your African safari style bedroom will remind you every night with every moment you spent in your enjoying journey to the African desert and jungles. 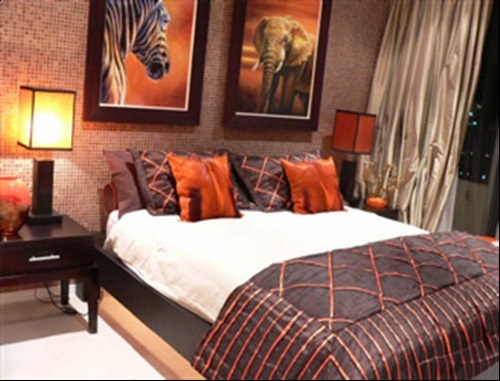 A well designed African safari curtain with matching beddings and suitable wall colors will entirely transform the atmosphere into your bedroom to create a relaxing and warm mood. 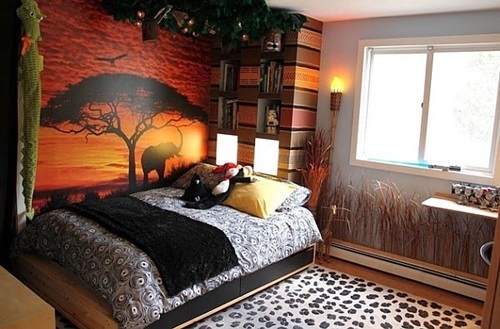 This article will show you some ideas of the curtain that will enhance and complete the African safari theme into your bedroom. 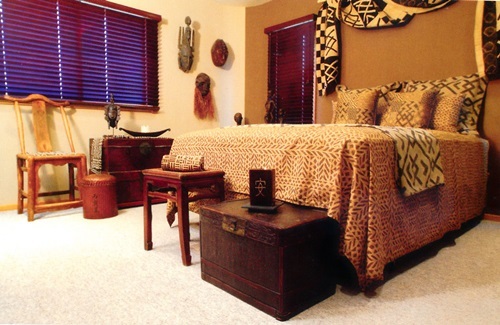 Your safari bedroom curtain will be a transitional part between furniture items and walls. 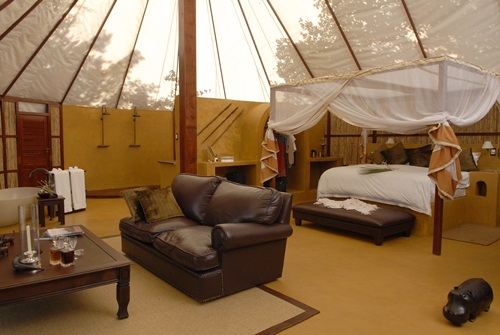 Such a curtain should match your beddings both in fabrics, such as mud cloth, woven wool, or cotton, and colors, like the colors of nature, water, and desert. 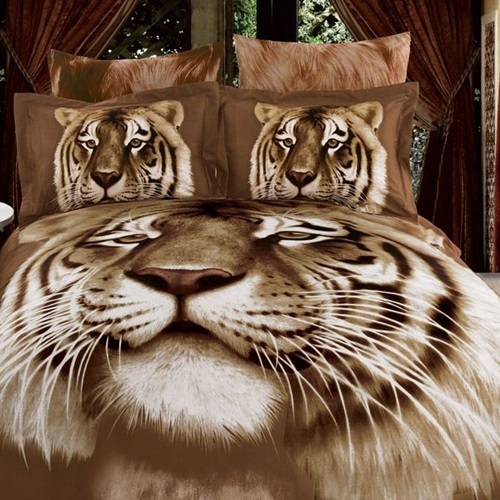 If the beddings use prints or pictures of one animal, you will need to find a similar curtain. 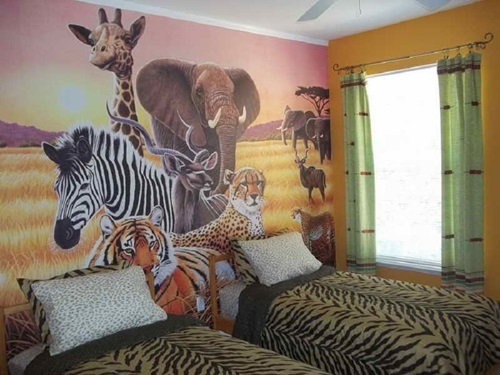 However, if there are prints for different animals, you are free to choose the shape of your curtain. 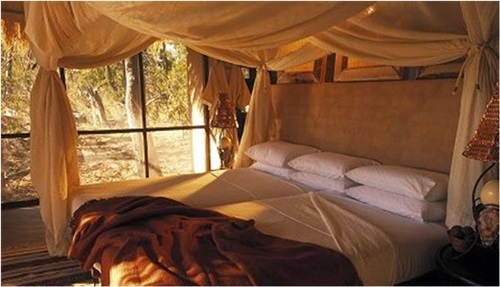 The common used colors for the bedroom safari curtains are the muted colors such as brown, mustard, sienna, and black. These colors will enhance the relaxing mood and block the light in the morning to let you sleep comfortably. So, this curtain has functional and decorative roles. 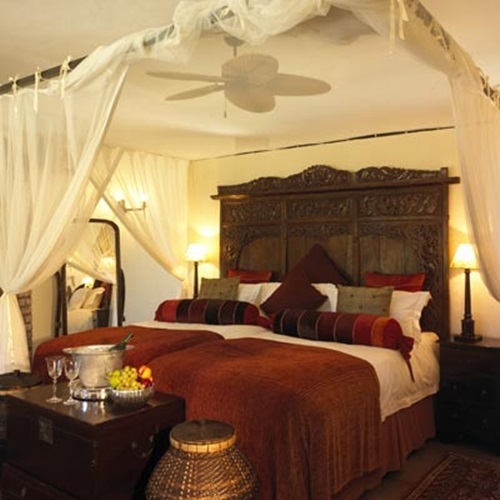 The African jungle safari bedroom curtain can be placed around your camouflage canopy bed that can be on the shape of a mosquito net to create a special retreat and to add a safari charm to your bedroom. 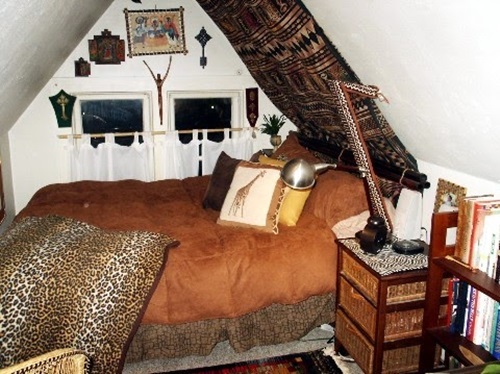 If you like to increase this charm, the curtain of your canopy bed can be made of treetops with curtain accessories on the shape of African tropical birds. 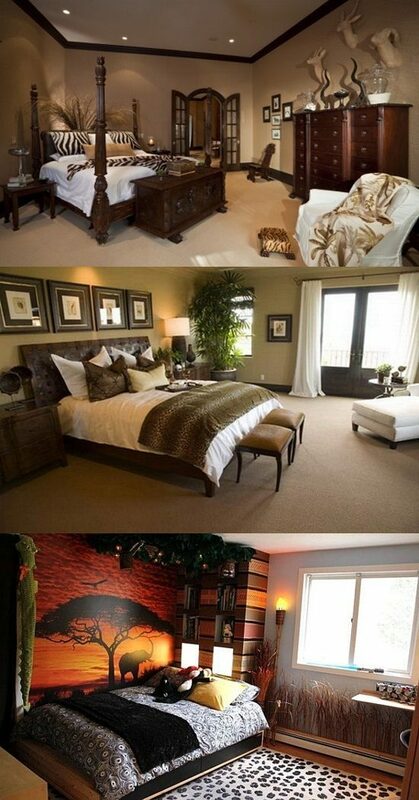 Your bedroom window curtain can take the shape of banana leaves or grass. You can simply add an interesting look to your window curtain installing leaves and vines to flow from the curtain rods downside.